Join the Secret Santa Club and support heart children this Christmas. Let us tell you a secret! Shhhh… there is a very special Secret Santa Club which we would love to invite you to join! By being a secret santa and donating to ECHO this Christmas, you can bring fun, laughter and gifts to heart children throughout the festive season. From December through to February, your donations help us to fill the toy chest at the Evelina Children’s Hospital, hold festive events and give children a magical Christmas to remember during a difficult time for them and their family. You can read some of the stories from our members and volunteers and find out about how your donation can make a difference. Last year, we invited people to become a member of the Secret Santa Club to donate towards items that we wanted to provide for the ward at Evelina Children’s Hopital, and were amazed at your generosity and want to thank you for sharing our social media posts, printing posters and for donating. We had hoped that they money raised would help us to buy selection boxes for children coming to our Enchanted Christmas Party but you amazed us and we ended up not only with enough selection boxes but also hosting our very own Mad Hatters Tea Party on the atrium at the Evelina Children’s Hospital. 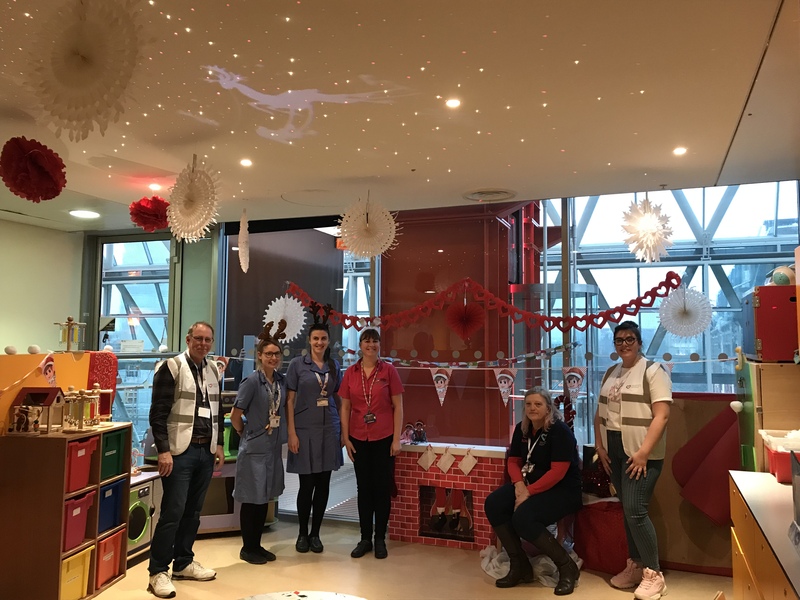 On Saturday 15th December, some of our ECHO Elves visited the Evelina to transform the Savannah ward into Santa’s Grotto, see the final result of one of the rooms below. With your help, we can keep spreading festive cheer and give every child on the wards a gift from Santa and his Elves, as they spend their Christmas at hospital. You can download and print the Secret Santa Club poster to get it into your local school, office and anywhere else you can think of. You can also download the social media version of the poster and share it online to invite people to join this very special club. Simply text ‘ECHO29 £5‘ to 70070. You can choose to text ‘£1’, ‘£2’, ‘£5’ or ‘£10’.